I do like healthy(ish) gummy sweets made with fruit juice. 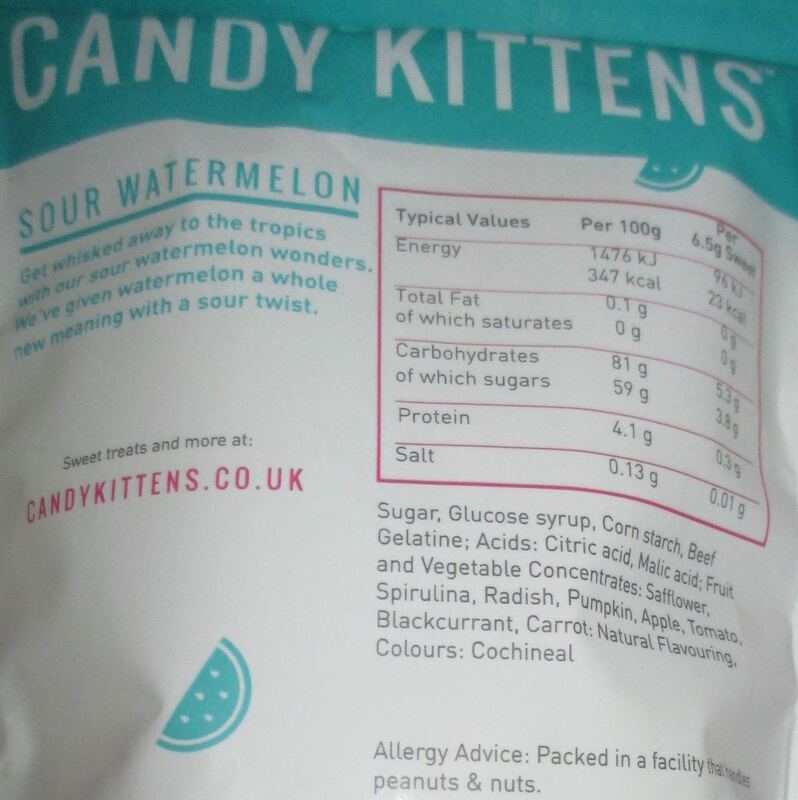 These new Candy Kittens Sour Watermelon were made with ‘real fruit juice’, however bizarrely in the ingredients listed below there was no watermelon! The back of the rather smart packet states that it wants to whisk me away to the tropics with these sweets. Seems like a good plan rather than being stuck at work in a stuffy office. Although knowing me I’d probably complain endlessly about the heat if I were in the tropics. 115g packet, with 23 calories per 6.5g sweet, having 0g of fat, 3.8g of sugar, and 0.01g of salt. 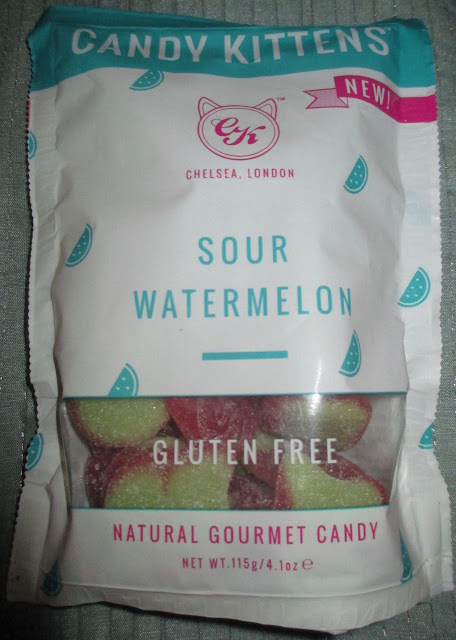 Ingredients included; sugar, glucose syrup, corn starch, beef gelatine, acids; citric acid, malic acid; fruit and vegetable concentrates; safflower, spirulina, radish, pumpkin, apple, tomato, blackcurrant, carrot; natural flavouring, and colours; cochineal.